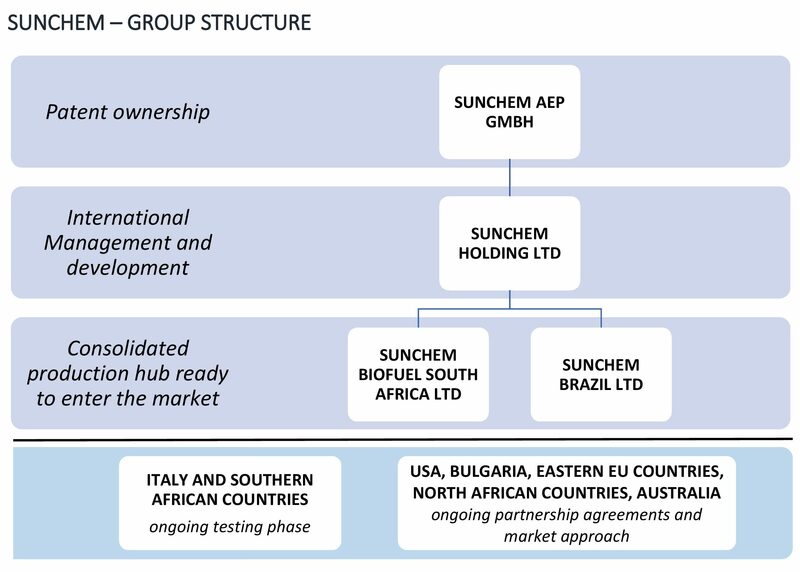 Based on market analysis & strategic management drivers Sunchem Holding decided to improve a strategic partnership model involving medium-large companies operating in the oil/fuel processing and distribution field. – Sunchem Holding decided to concentrate its efforts on research and development level. – Sunchem Holding has created an operational level involving medium-large premium companies operating in the oil & petroleum sector, agro-industry and processing. – Sunchem Holding releases legal territorial sub-license to newco on the operational level. 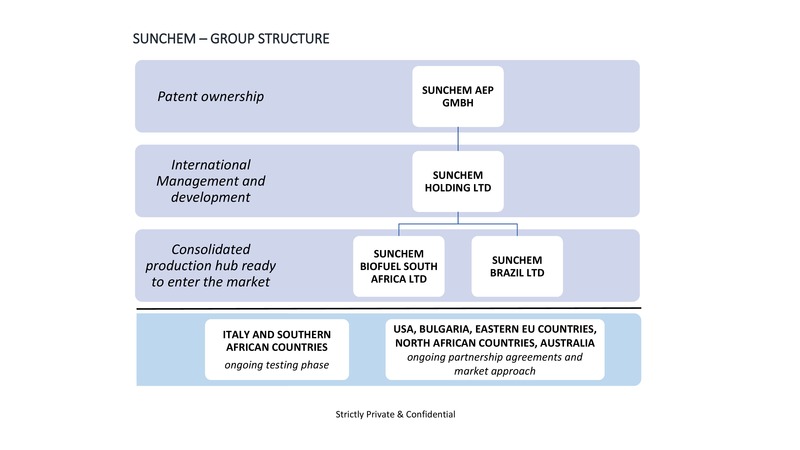 Sunchem Holding is going to maintain a relevant share on the operational level companies.